We adapted a recipe we found on Epicurious called Lemony Risotto with Asparagus and Shrimp. We decided to use lobster instead of shrimp because it is really in season at the moment. The risotto is not difficult to make, it just requires a lot of attention. You have to stir it the entire time adding the liquid slowly. 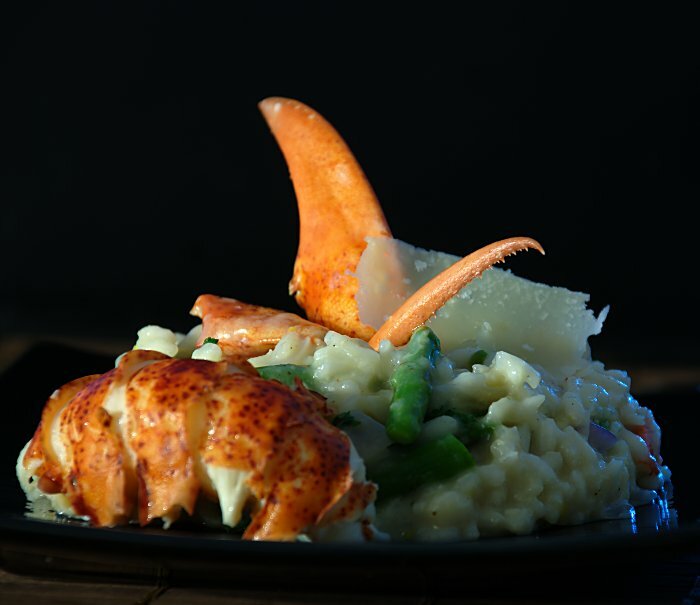 We added the smaller pieces of lobster in the risotto and served the larger pieces on the side. This dish was incredible.